Your backyard is a blank canvas when deciding the right location for your new pool. From selecting the design to choosing customized options like mosaic tile finishes and water features, your dream for a luxurious getaway will begin to form. So how does storage fit into this pool lover’s daydream? Fortunately, when you take stock of new pool storage options, maintenance equipment storage can become another fun and exciting element of your pool design and planning process. To get this e-book for yourself, simply fill out the form below and it will be sent direct to your inbox. 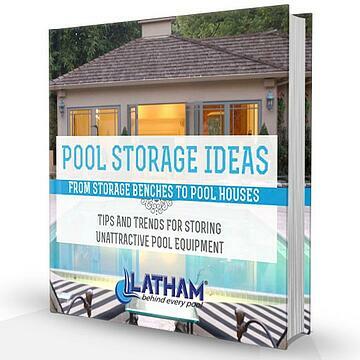 Enjoy browsing dozens of pool storage photos and resources!